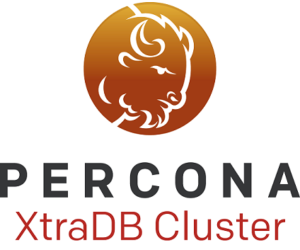 Percona announces the release of Percona XtraDB Cluster 5.7.19-29.22 on September 22, 2017. Binaries are available from the downloads section or our software repositories. Introduced the pxc_cluster_view table to get a unified view of the cluster. This table is exposed through the performance schema. encrypt_threads specifies the number of threads that XtraBackup should use for encrypting data (when encrypt=1). This value is passed using the --encrypt-threads option in XtraBackup. backup_threads specifies the number of threads that XtraBackup should use to create backups. See the --parallel option in XtraBackup. PXC-835: Limited wsrep_node_name to 64 bytes. PXC-846: Improved logging to report reason of IST failure. If a donor is 5.6 and a joiner is 5.7: A warning is printed to perform mysql_upgrade. If a donor is 5.7 and a joiner is 5.6: An error is printed and SST is rejected. PXC-825: Fixed script for SST with XtraBackup (wsrep_sst_xtrabackup-v2) to include the --defaults-group-suffix when logging to syslog. For more information, see #1559498. PXC-826: Fixed multi-source replication to PXC node slave. For more information, see #1676464. PXC-827: Fixed handling of different binlog names between donor and joiner nodes when GTID is enabled. For more information, see #1690398. PXC-830: Rejected the RESET MASTER operation when wsrep provider is enabled and gtid_mode is set to ON. For more information, see #1249284. PXC-833: Fixed connection failure handling during SST by making the donor retry connection to joiner every second for a maximum of 30 retries. For more information, see #1696273. PXC-839: Fixed GTID inconsistency when setting gtid_next. PXC-840: Fixed typo in alias for systemd configuration. PXC-841: Added check to avoid replication of DDL if sql_log_bin is disabled. For more information, see #1706820. PXC-842: Fixed deadlocks during Load Data Infile (LDI) with log-bin disabled by ensuring that a new transaction (of 10 000 rows) starts only after the previous one is committed by both wsrep and InnoDB. For more information, see #1706514. PXC-843: Fixed situation where the joiner hangs after SST has failed by dropping all transactions in the receive queue. For more information, see #1707633. PXC-853: Fixed cluster recovery by enabling wsrep_ready whenever nodes become PRIMARY. PXC-862: Fixed script for SST with XtraBackup (wsrep_sst_xtrabackup-v2) to use the ssl-dhparams value from the configuration file.